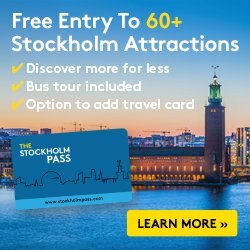 If you travel to Stockholm at Easter or between March and October in addition to the typical recommended boat trips I want to talk about other gastronomic cruises that sail through the waters of the city and that may interest you. These are some of the special boat tours available including brunch, lunch or dinner made of classical Swedish dishes. 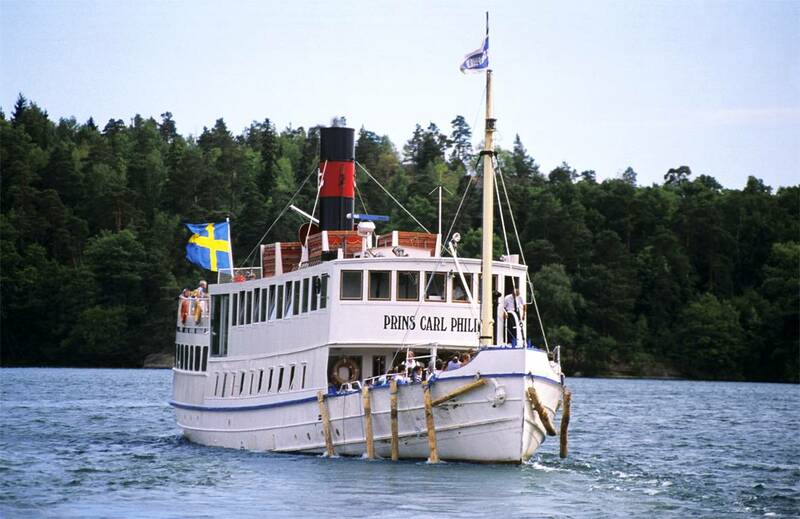 A one-hour cruise through Lake Mälaren to Drottningholm Castle aboard the historic ship S / S Drottningholm or the M / S Prins Carl Philip dating from the early 20th century. On board dishes from the chef KC Wallberg, responsible for the famous restaurant Gubbhyllan in Skansen are served. The cruise runs through the calm waters of the Mälaren with panoramic views of the surrounding nature and the opulent houses by the beaches of the lake. All in a relaxed atmosphere. 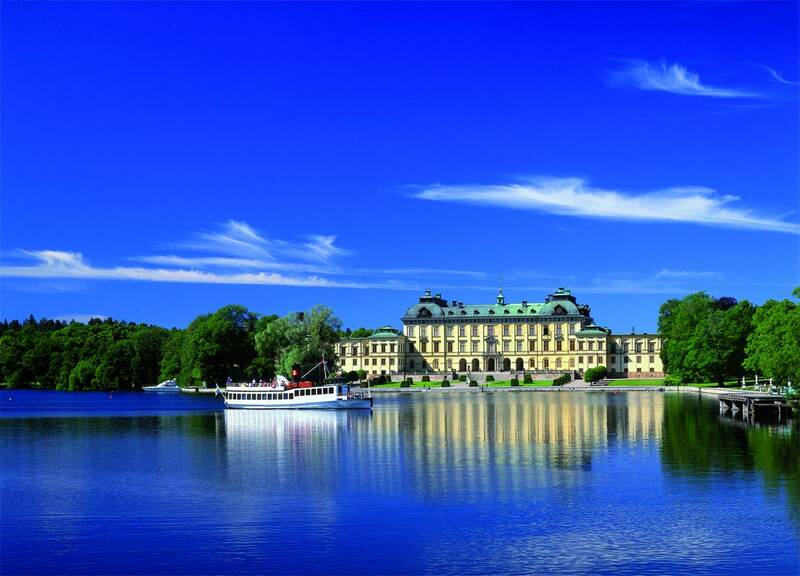 The price of this cruise is from 180 SEK (18€ / $19.50 / £15 – one way to Drottningholm) or 195 SEK (19€ / $21 / £16 – round trip). Lunch onboard costs 305 SEK (30€ / $33 / £25). Children from 6 to 15 years old pay half price. More details here. A nice cruise through the archipelago of Stockholm with round trip to Vaxholm. The menu includes the classics of Swedish cuisine and other dishes with a different twist. All the ingredients are fresh and prepared on board the ship. The boat leaves Strandvägen, pier 16 at 7:00 pm. The cruise lasts three hours and returns to Stockholm at 10:00 pm. The price of the cruise is 195 SEK (19€ / $21 / £16). Dinner with different menus available at around 500 SEK (50€ / $55 / £41). More details here. Starting in Easter with the Easter brunch and until the end of the year every Saturday and Sunday the S / S Stockholm leaves from the pier at Strandvägen for a three-hour cruise that takes you through Stockholm’s Archipelago while enjoying the best hot and cold dishes of Swedish cuisine: different types of herring and salmon, sausages or the famous temptation of Jansson precede a buffet of cheeses, desserts and sweets. The price of the gastronomic cruise is 545 SEK (54€ / $59 / £45). 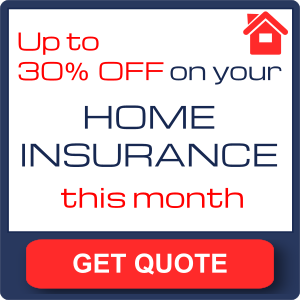 Children from 0 to 5 years old free and those from 6 to 15 pay half the price. More details here. And if you’re looking to discover the archipelago on your own, visiting islands such as Grinda, Möja, Sandhamn, Vaxholm and many more you can get on one of the Cinderella boats that will take you to them and spend a day on a more or less remote island. You can have something to eat at some fancy restaurant there. In many other parts of the blog I recommend not leaving Stockholm without having boarded a boat and known the city, the archipelago or some island from the water. These gastro boat tours can be a very good way to do so since many will also leave your stomach just as satisfied as your sight.